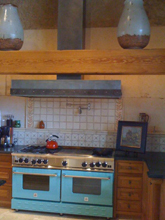 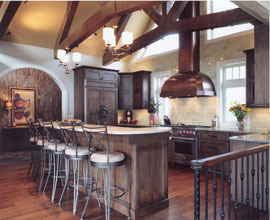 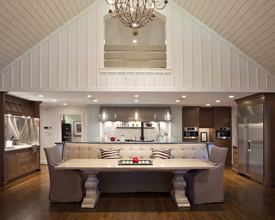 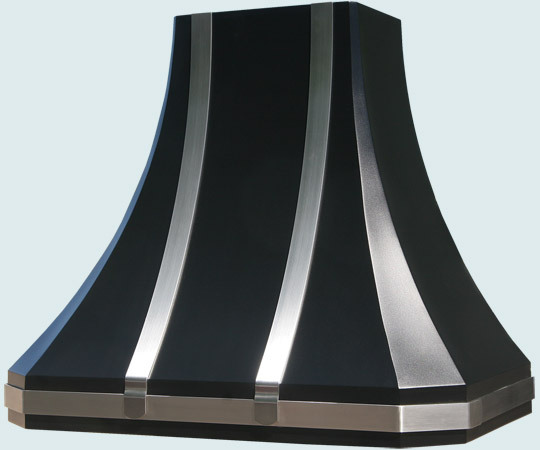 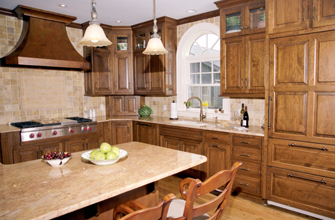 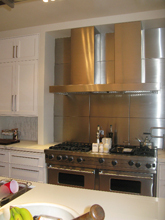 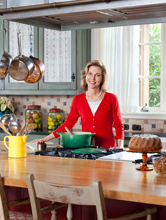 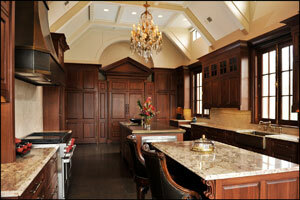 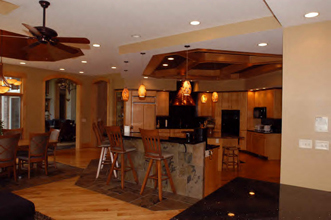 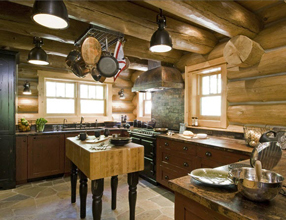 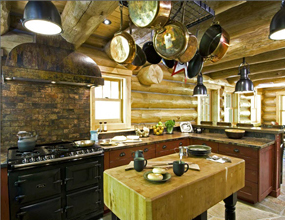 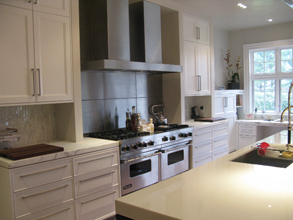 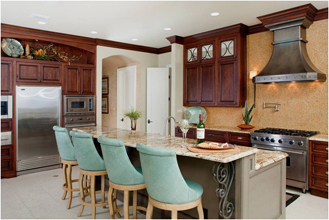 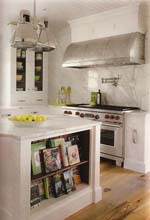 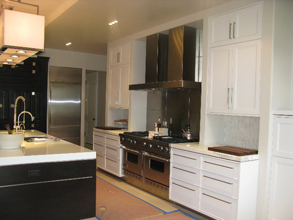 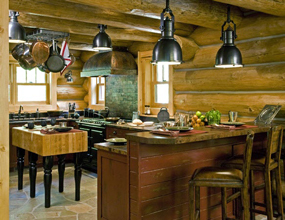 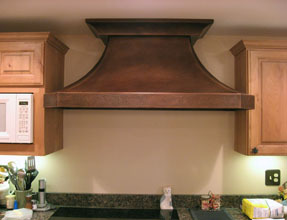 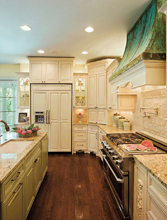 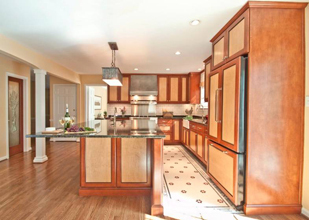 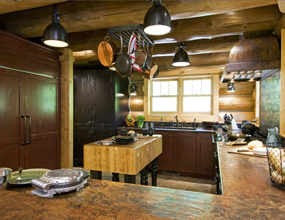 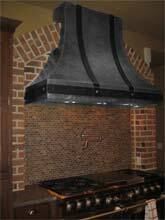 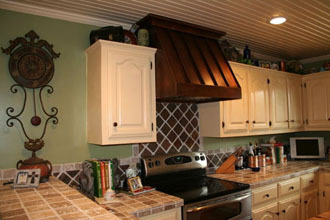 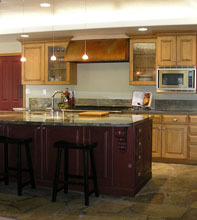 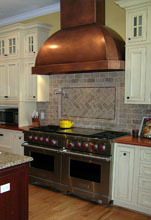 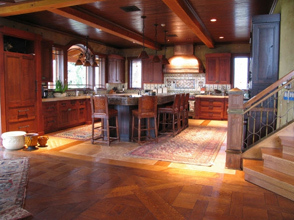 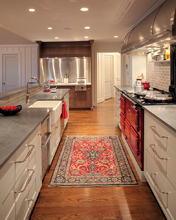 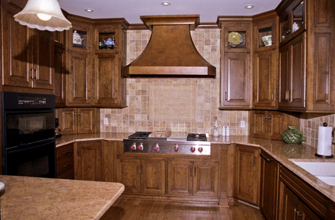 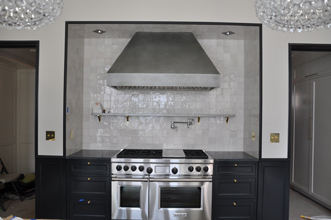 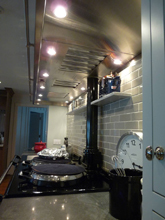 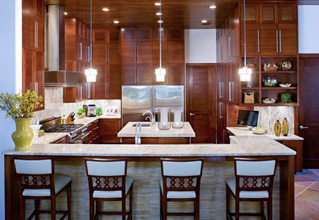 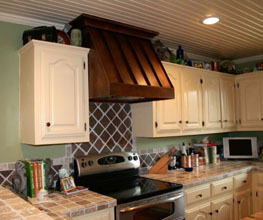 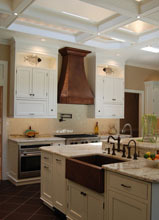 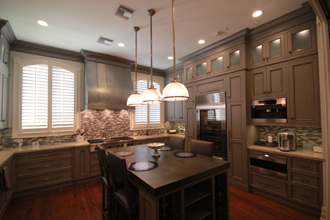 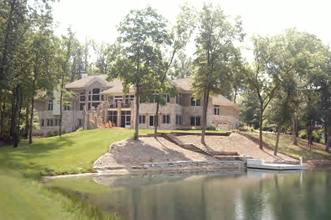 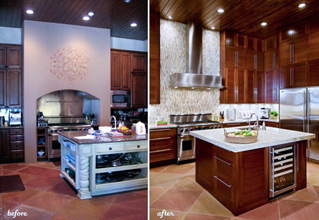 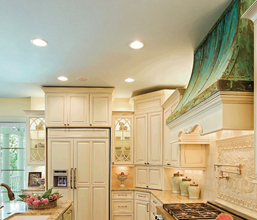 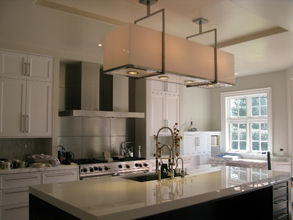 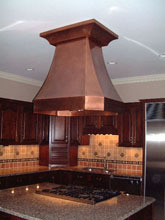 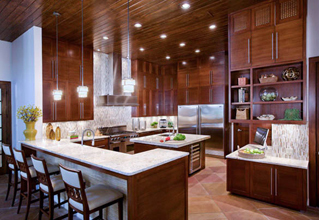 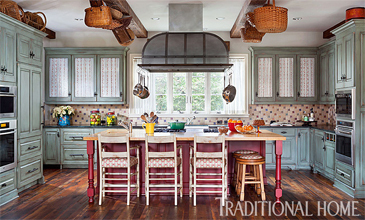 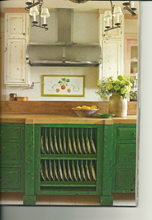 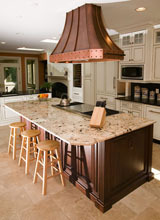 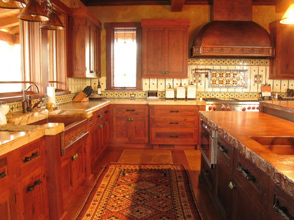 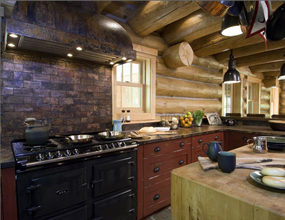 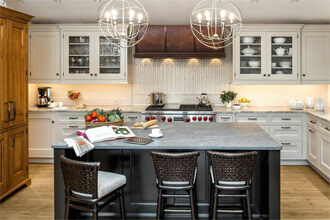 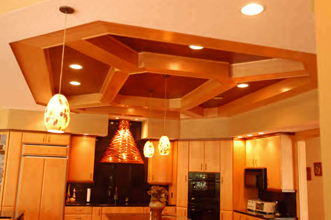 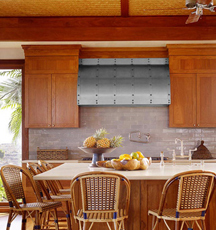 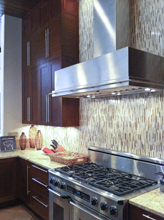 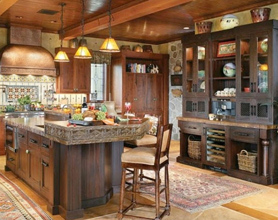 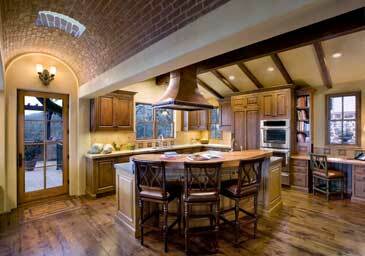 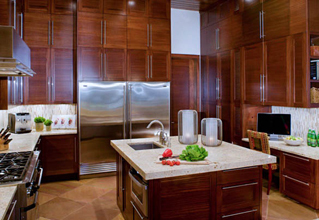 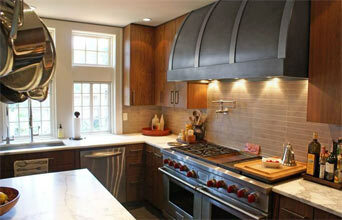 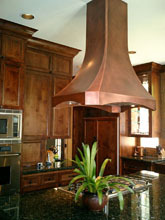 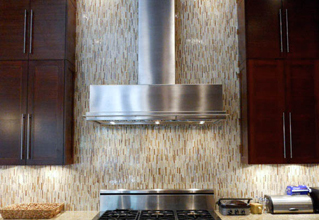 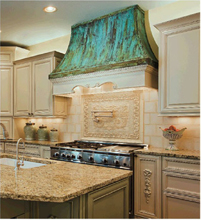 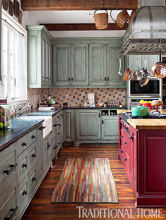 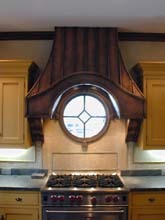 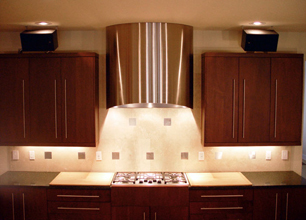 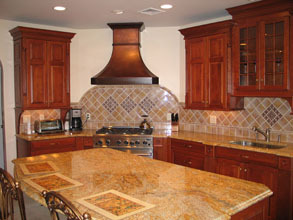 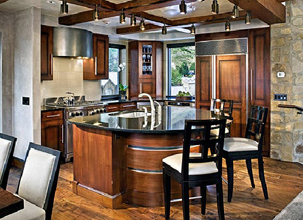 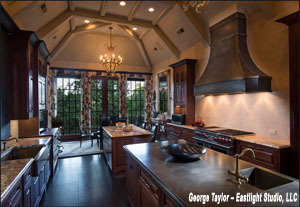 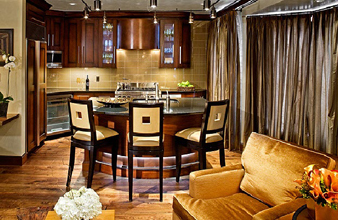 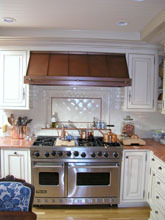 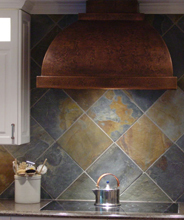 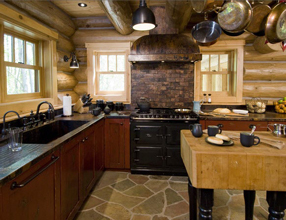 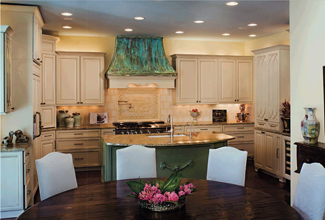 Custom Range Hoods - #3286 | Handcrafted Metal Inc. 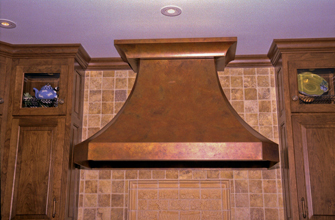 This color coated French Sweep hood features extra thick stainless straps that run along the bottom band and up the front. 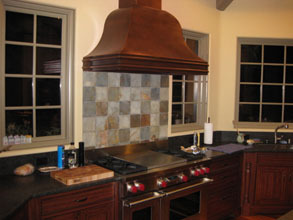 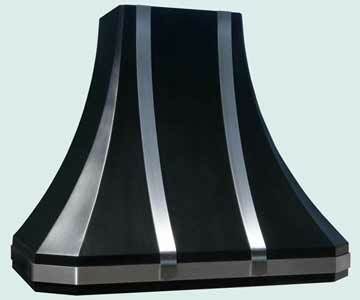 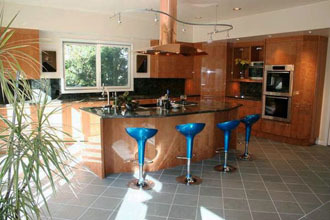 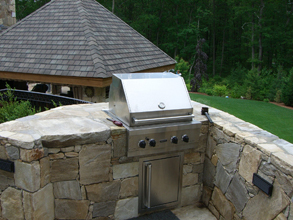 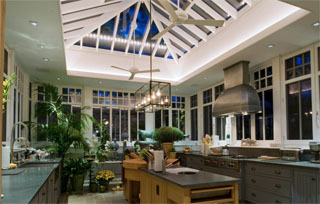 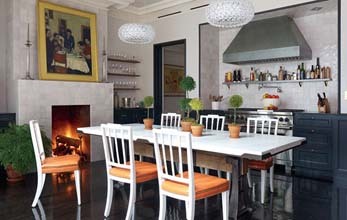 The coating is a high durability AGA Black Matte powder coat. 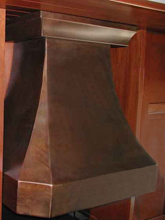 The 1/4 inch thick straps have a smooth micrograin finish.